A nose of leather, pepper and a nod to the Rhône with sultry dark berry fruits and some meatier charcuterie notes. The palate is supple yet expansive with an elegant weave of spice that is wrapped around plums and ripe blackberry; the undercurrent is of earth and cured meat with sweetness of spice and moreish tannin and acidity. 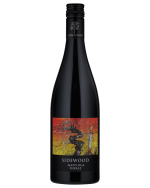 The wine has peppery nuance to finish with this release a cool climate Shiraz of the highest order.